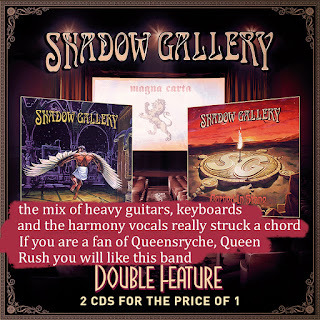 Magna Carta Recent News: Shadow Gallery - "Shadow Gallery"
"I will name some highlights of the album,like the great symphonic and melodic piece "the dance of fools", "darktown" with very cool flutes on it, the melodic heavy metal and the fast double-bass work of "questions at hand, and the 17 minutes track of symphonic and melodic music and very nice vocals of "the queen of the city of ice", a very well composed album. All of them reminds me so much of prog rock bands like GENESIS, JETHRO TULL, RUSH, KANSAS and even some ELP; with time their prog rock influenced metal would be slowly polishing into a more melodic and sophisticated metal, and yes progressive metal sound." 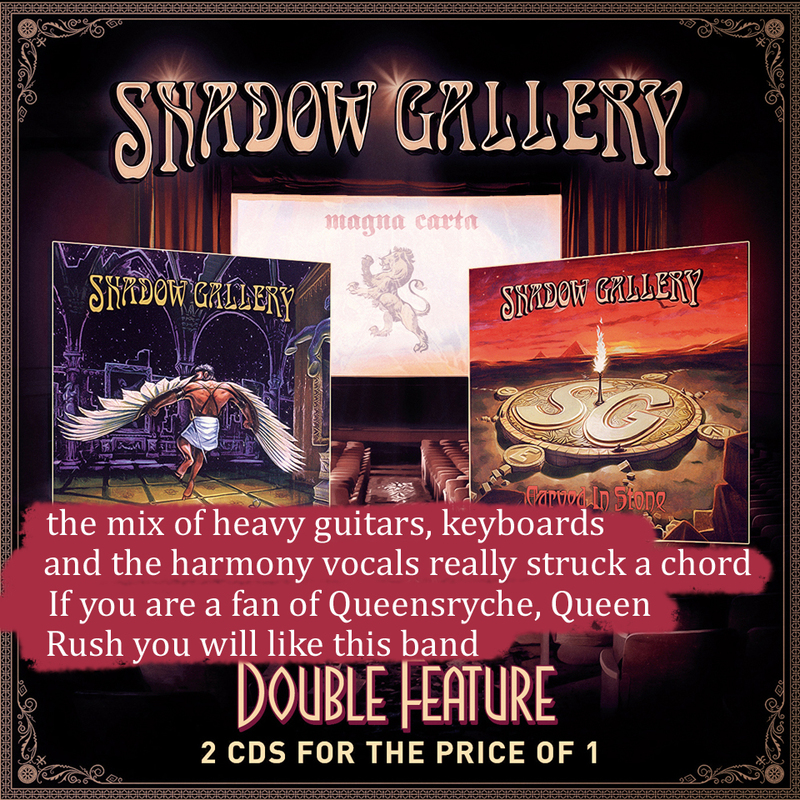 Available as part of Shadow Gallery: "Double Feature", a specially priced Limited Edition 2 CD set of the first 2 albums by progressive rock band Shadow Gallery; "Shadow Gallery" and "Carved In Stone"
"Shadow Gallery is a progressive rock band that stresses songwriting, production and performance in their music. "Carved in Stone", released in 1995, is longer and much more mature than the debut CD. It features stunning production, far exceeding that of "Shadow Gallery", and improves on the previously high-quality songwriting. The group's third album, "Tyranny" followed in 1998. This is a concept album about a defense worker who becomes disenchanted with his job and searches for other meanings in his life. The music is very reminiscent of "Carved in Stone", although somewhat lighter. "Legacy" appeared in spring 2001."